AXE Gold Temptation Daily Fragrance Recommended? You Betcha! 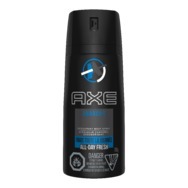 AXE Dark Temptation Daily Fragrance Recommended? You Betcha!